Does the term ‘Equal and Opposite‘ sound familiar? Don’t worry we’re not talking about physics, we’re talking about cross body exercise! Enjoy training opposite sides of the body to increase circulation and help your muscles work more efficiently. You don’t need any equipment for this one, just equal determination to work the right and left sides! Do you have a fitness resolution? Make progress towards achieving your goals with Skimble’s top fitness apps and supportive community. 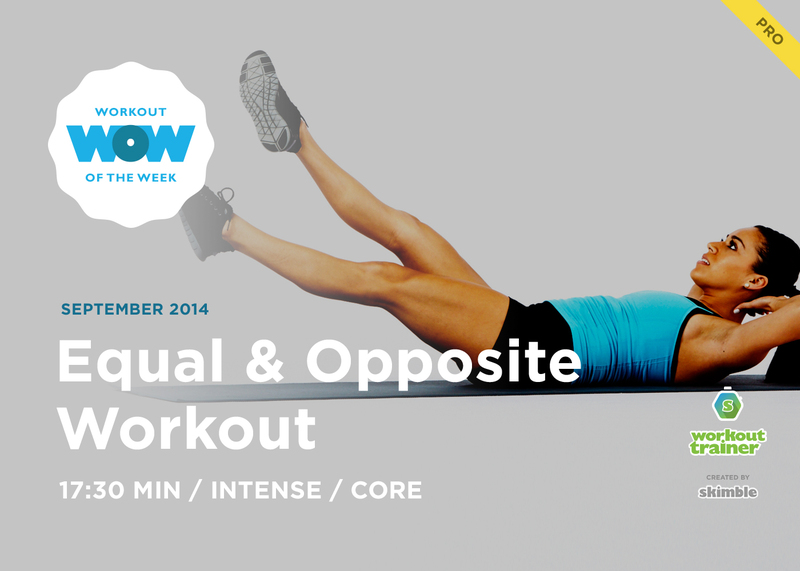 If you’re new to Skimble, our Workout of the Week challenges offer you fresh ways to be fit. Download Workout Trainer on your Android & Apple devices and do your first workout! Remember, if you want to stay up-to-date with our Workout of the Week challenges, be sure to have your Workout Trainer notifications turned ON in the app! This entry was tagged fitness, fitspiration, skimble, workout, workout of the week, workout trainer. Bookmark the permalink. Skimble’s Workout of the Week: Foot”Ball” Ready!